You should know by now that we can’t go back. Not like this. Not back through the electric fence or past the sheep, dehydrated and teeming. 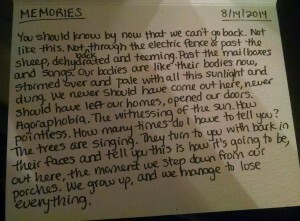 Past the mailboxes and songs. Our bodies are like their bodies now, stormed over and pale with all this sunlight and dung. We never should have come out here, never should have left our homes, opened our doors. Agoraphobia. The witnessing of the sun. How pointless. How many times do I have to tell you? The trees are singing. They turn to you with bark in their faces and tell you this is how it’s going to be, out here, the moment we step down from our porches. 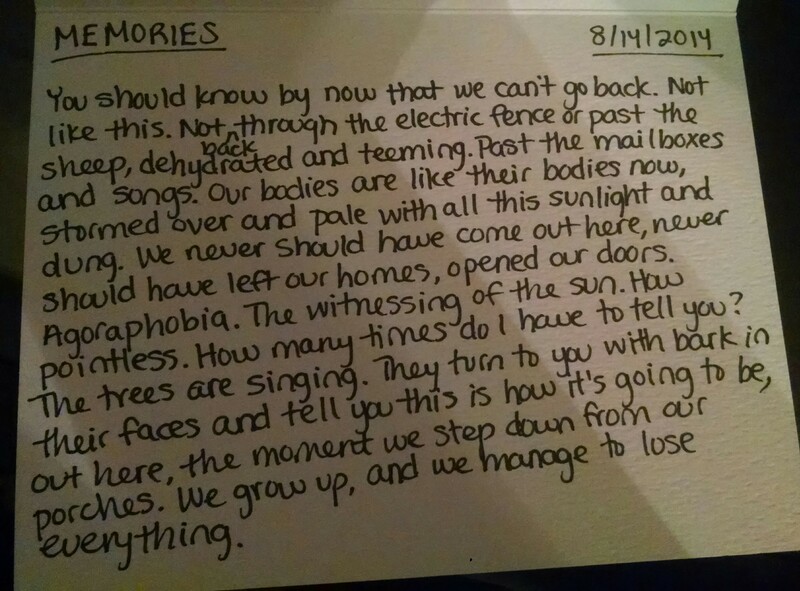 We grow up, and we manage to lose everything.